This article originally found on ROX. Artwork by renowned fashion illustrator Mats Meyer. 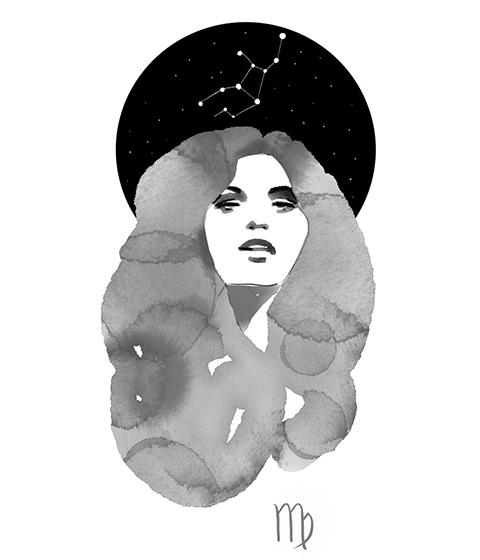 Find your star-crossed lover with a little help from our star sign compatibility guide. Revealing astrology’s centuries-long secrets, we share the cosmic ingredients for lasting relationships. Already found your match? In our guide, we also turn to the Zodiac to help you find the most compatible engagement ring for your other half, factoring in the different signs’ key personality traits. Determined by your date of birth, your sun sign represents your core personality. The elements play a key role in finding the perfect match, and whether yours is earth, water, air or fire, you’re always best matched with someone of the same element. 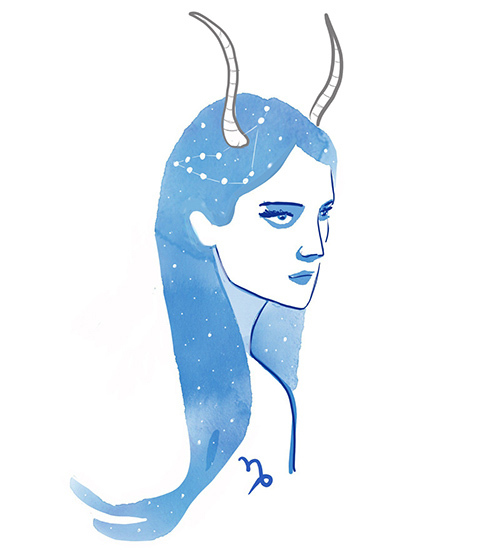 Known for their fiery, impulsive natures, Aries have an insatiable desire to be the best and need a partner that can handle their enthusiasm and strong character. 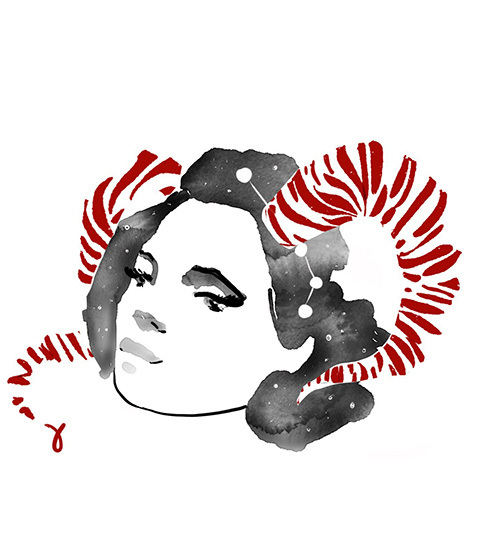 Aries are unstoppable warriors on the good days, but can be prone to temper tantrums on the bad ones, so being with this fiery ram isn’t for the faint-hearted. 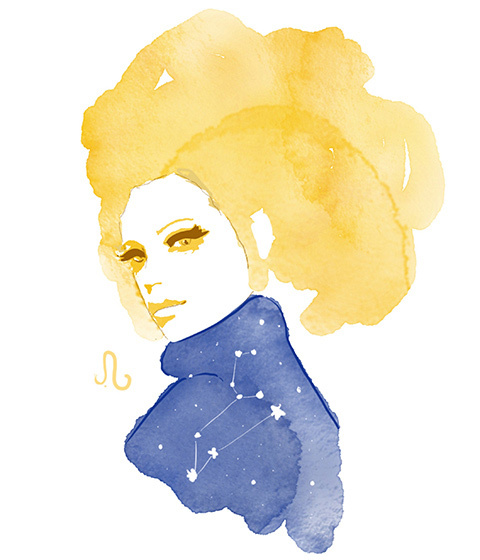 Fellow fire signs Leo and Sagittarius make for good matches, bringing a creative energy and determination to the relationship, as inspired by Aries’ passion and zest for life. An Aries and Libra partnership is also worth exploring, with these opposite signs providing much-needed counterbalance to support each other’s best qualities. Cancer and Capricorns aren’t the best match for Aries, and can struggle to manage their spontaneous energy. Aries, on the other hand, may feel a sense of being boxed in by these signs. Known for their sense of romance and appreciation for the finer things in life, Taurus is an earth sign with a tendency to indulge the senses – from enchanting aromas and gourmet cuisine, to luxurious, soft fabrics. Taurus is a pragmatic sign, making practical Virgo and hardworking Capricorn great matches who’ll appreciate the sensual bull’s love of luxury. Opposite sign Scorpio is also a good match for Taurus: both are associated with change and regeneration (represented by spring and autumn) and can share valuable lessons about transformation when matched. Like the bull that represents them, Taureans can be stubborn and hard-headed, and could lock horns with fellow unyielding signs Leo or Aquarius. Known to be social butterflies, dating a Gemini promises to be a fun-filled experience. Always on the look-out for their next adventure, Geminis need constant stimulation through daily activities and communication. Fellow natural wordsmiths Libra and Aquarius are attracted to Gemini’s quick wit. However, for this sign opposites really do attract, with creative wanderers Gemini and Sagittarius making one of best pairings of the Zodiac. Logical signs such as Virgo and intuitive Pisces may struggle with Gemini’s spontaneity, earning the sign a reputation of being unreliable. A water sign ruled by the moon, Cancer is a sensitive sign and needs to establish trust and loyalty before unveiling vulnerabilities. 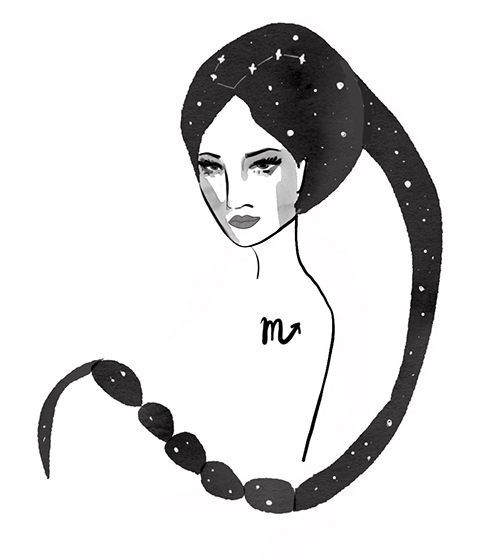 As such, fellow water signs Scorpio and Pisces make for great matches, with water signs known for their intuition. Paired together they can communicate nonverbally, creating a real sense of intimacy. In spite of being a less emotional sign, Capricorn also makes a great living partner for Cancer as both signs enjoy nesting and building safe spaces. 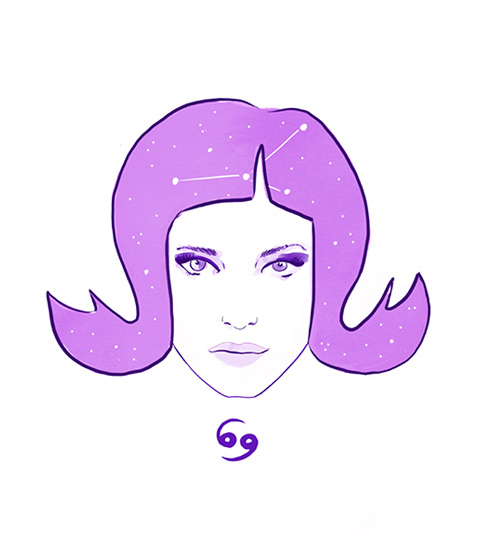 Cancers struggle with direct confrontation and are known to side-step around difficult situations, so outspoken Aries and diplomatic Libra can prove a difficult match. Fiercely proud of their passion and extravagance, fiery Leos aren’t afraid to show their true colours. Known for their unbelievable loyalty, enterprising creativity and movie-esque romances, this is a sign that’s ruled by the sun and Leos shine brightest when matched with fellow fire signs Aries or Sagittarius. Opposite sign Aquarius also makes a good match for Leo; while Leo represents the ruler, Aquarius symbolises the people, creating the ultimate power couple. Leo’s passion and charisma can come across as being self-centredness, which may cause trouble when paired with a Taurus or Scorpio. Logical, rational and to-the-point earth sign Virgos are known for their intellect. Their a-type personality means they take a pragmatic approach to life and feel most at ease when with other earth signs Capricorn and Taurus, who appreciate Virgo’s analytical eye. Opposite sign Pisces also makes for a great match, with both signs known for their helpful natures – Virgo offers practical assistance while Pisces offers emotional support. However, a Virgo’s quest for perfection can be too much for impulsive Gemini or wandering Sagittarius and can come across as being a little neurotic. Tradition and practical style are important to Virgo. Romantic diamond set engagement rings capture Virgo’s passion for life’s prettiest things whilst being practical. A classic brilliant cut diamond promises to be the perfect choice for a dazzling yet understated effect. 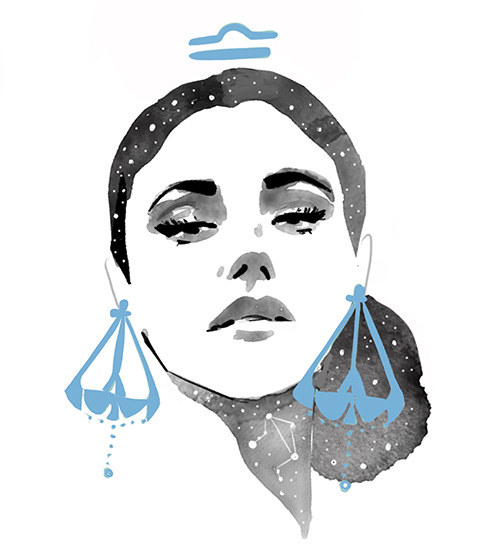 With a passion for culture and the finer things in life, whether it be modern art, a deep glass of the finest red, or the latest designer threads, Libras are the aesthetes of the Zodiac. Ideal matches include fellow air signs Gemini and Aquarius who appreciate Libra’s refined tastes. Represented by the scales, it’s natural that Libras love being in pairs which makes Aries a compatible match. 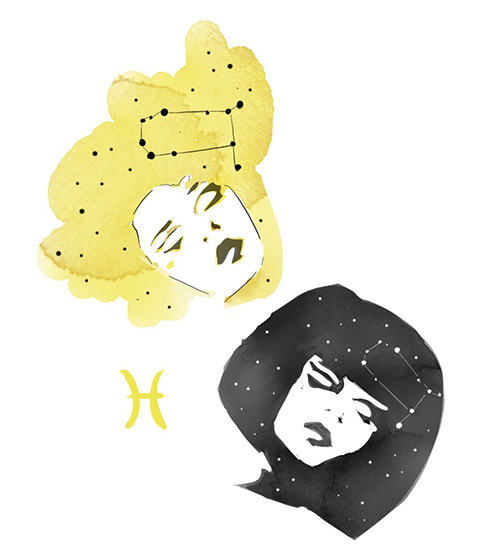 Aries may be known for their independence but when paired with a Libra, they can find the ultimate balance – just look at the infamous duo Bonnie and Clyde. Libras can get caught up in pleasing others, making it difficult to pair with intense Cancers or Capricorns. Powerful water sign Scorpio is known as one of the fiercest in the Zodiac. Armed with unbelievable intuition and relentless dedication, it’s hardly surprising that Scorpios make loyal partners. Known for their emotional intelligence, fellow water signs Cancer and Pisces are only too happy to embrace Scorpio’s passionate energies. 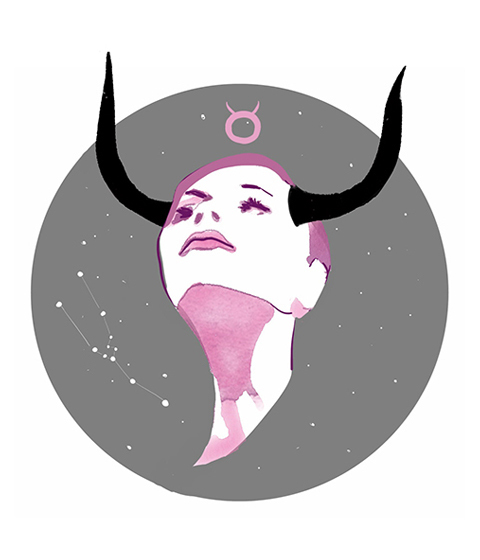 Taurus, regarded as the most sensual sign of the zodiac, also makes a great match to Scorpio’s magnetic sexuality. However, Scorpios can also seem evasive which might put off signs like Leo and Aquarius. Always ready for an adventure, Sagittarius is a fire sign known for captivating storytelling and having an infectious sense of humour. Complemented by fellow bold and daring signs Aries and Leo, a match with either would bring a relationship filled with passion and creativity. Opposite sign Gemini also makes a great partner for intrepid Sagittarius, with both believing in living their best lives at all times, never afraid to support each other along the way. 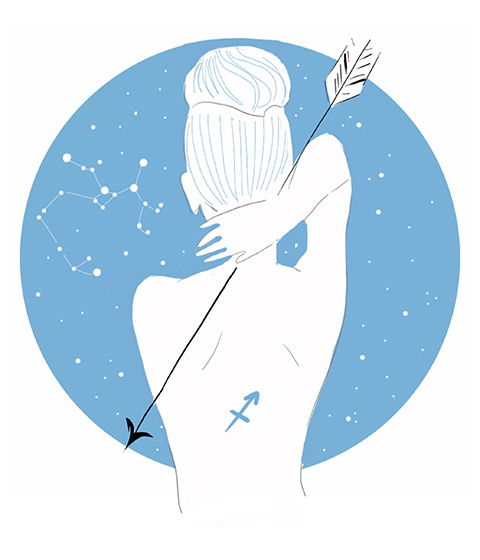 As Sagittarius is always chasing the arrow, this sign can have a reputation of being unreliable which doesn’t sit well with logical Virgos and sentimental Pisces. Capricorns are known to create solid foundations in their lives, whether it be for their homes, careers or romantic relationships. Fellow earth signs Taurus and Virgo crave stability, something which Capricorns offer in abundance, making the two a dream match. Capricorns also share traditional views on romance with opposite sign Cancer, who also enjoys building safe domestic environments. However, Capricorn’s fastidious approach to life isn’t always sought-after, with Aries and Libra often becoming frustrated by Capricorn’s stoicism. 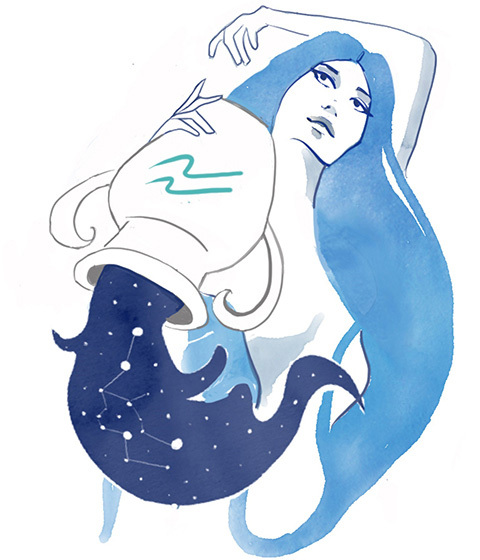 As an air sign, Aquarius is strongly linked to humanitarianism, with Aquarians known to proudly do their part to help others. Fellow air signs Gemini and Libra appreciate the Aquarian ability to look at the bigger picture, while Aquarians appreciate Gemini and Libra’s intellectualism. Aquarians and Leos also make a good match, with Leo representing the king and Aquarius representing the people. Ever the idealist, Aquarians can sometimes come across as righteous, causing Taurus and Scorpio to feel a little attacked, which can make matches between these signs less likely. 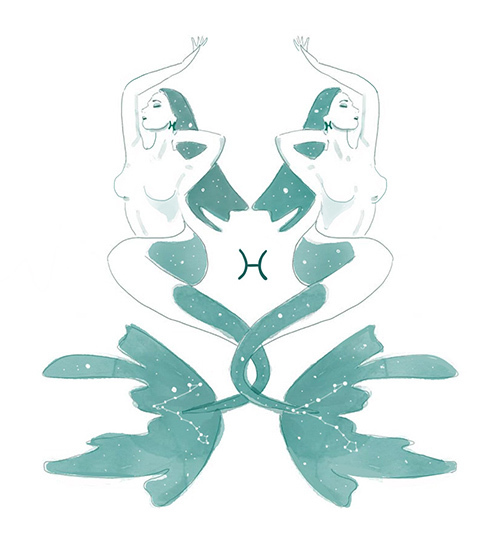 With their enchanting creativity and sweet disposition, Pisces are known for their empathy and non-verbal expression. Fellow water signs Scorpio and Cancer make for strong matches, offering an emotionally rewarding relationship. Opposite sign Virgo also offers great relationship potential, with each sign able to benefit from the other’s kindness and support. However, easily wounded Pisces can struggle to bond with extroverted Sagittarius and Gemini. When it comes to couple goals, it doesn’t get much better than the Duke and Duchess of Sussex. When announcing their engagement in 2017, Prince Harry said he believed that the “stars had aligned” when he met US actress Markle. With Harry being a Virgo and Meghan a Leo, the pair are proof that opposites really do attract. They might be from two very different worlds – quite literally – but their opposing qualities work well together. Virgos are renowned for seeking alone time, proving that Harry’s commitment to Meghan is something he’s considered seriously. 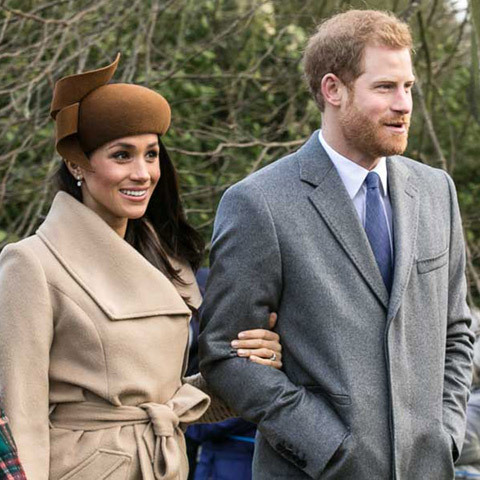 Markle’s regal personality, on the other hand, helps her handle life in the spotlight – handy as they are the most photographed couple in the world! The dashing prince got down on one knee with a trilogy ring he designed himself, featuring a centre cushion-cut diamond from Botswana alongside two diamonds from the late Princess Diana’s personal collection. The Spice Girl and the footballer. Never has there been a couple to take on the mantle of a power duo quite like the Beckhams. David popped the question with a marquise-cut yellow gold engagement ring in 1998, with the pair tying the knot in July of the following year in a lavish ceremony in Ireland. Although the couple has allegedly had its troubles over the years, they are still together two decades later. David is a Taurus while Victoria is an Aries; two signs known to compliment each other as far as work can be concerned. Taureans are known for their commitment, making them good allies for Aries, who is known for starting things without finishing them. The couple who had us all wishing we were Crazy in Love, Beyoncé & Jay-Z have offered inspiration to fans across the globe since they first got together in the early 2000s. However, at first glance, their star sign compatibility seems a little unusual. Bey is a Virgo while Jay is a Sagittarius; a combination that doesn’t scream natural match at first. However, Virgos are a mutable earth sign, meaning they’re flexible yet practical and reserved, while Sagittarians are a mutable fire sign, meaning they are also flexible yet expressive and outgoing. The result? The matching energies of this pair help ensure they’re able to accommodate each other’s differences. 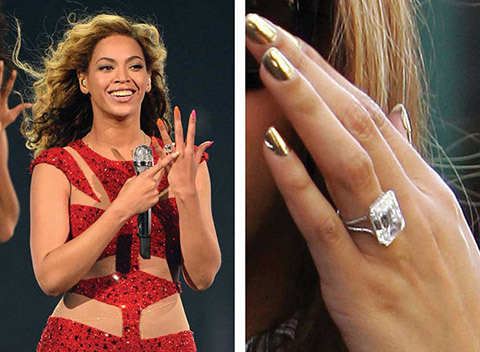 Jay-Z proposed to Beyoncé with an 18-carat flawless emerald-cut diamond with a split shank. He’s the ultimate Hollywood silver fox and she’s a mesmerising human rights lawyer. After a short courtship, the pair tied the knot in an unforgettable Venetian wedding in September 2014. George and Amal are both celebrated in their respective fields, but what about their stair sign compatibility? 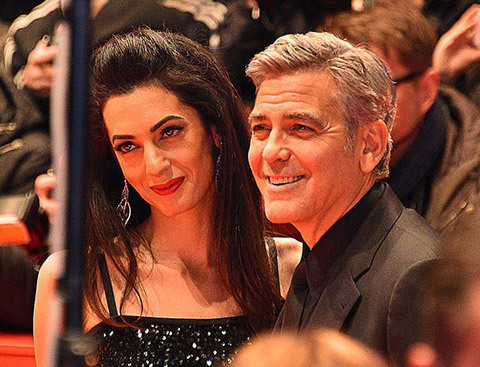 George is a Taurus and Amal is an Aquarius – not always an easy match as both signs are known to be stubborn, but when it works, it works. Swoony Clooney popped the question with a seven-carat emerald-cut diamond set in a platinum band beside two diamond baguettes. We couldn’t talk about iconic couples without mentioning Kimye. A love story for the modern age, Kanye West and Kim Kardashian were friends for years before the rapper finally put a ring on it in 2013. Kanye proposed to the reality star in front of her nearest and dearest with a 15-carat, cushion-cut diamond from famed jeweller Lorraine Schwartz. According to the stars, the pair make an easy match, with Kim being a Libra and Kanye a Gemini. Both are air signs and make a playful match, allowing them to feel comfortable enough to be free and silly together. If you need assistance bringing your winter wedding to life, let Malta’s leading wedding planner guide you. Sarah Young is experienced in making couples’ dreams become reality, and, with the help of her team, your wedding will become her priority.